Now my second engagement in as many months, and I’ve been invited to speak at the launch of the Virtual Caribbean DNS Entrepreneurship Center (VDECC) at the Trinidad Hilton on February 19th, 2018. My first engagement was at the Trinidad & Tobago Internet Governance Forum 2018 held on Friday Jan 28, 2018 at the Trinidad & Tobago Chamber of Industry & Commerce where I was invited to participate in a panel session on Digital Financial Services. More on that down below. Virtual Caribbean DNS Entrepreneurship Center (VDECC) is an initiative of ICANN- the Internet Corporation for Assigned Names and Numbers, which, for those who a familiar, is the body that that coordinates the Domain Name System (DNS) we know, love, and can’t live without. In Latin American/Caribbean (LAC) region, there are several initiatives (policy, technical, business) to engage with stakeholders and promote the DNS industry in general. This particular initiative is focused in organizing knowledge, sharing and networking with relevant players. A Center in Paraguay was opened in 2016 focusing in Latin America and Spanish speaking countries. 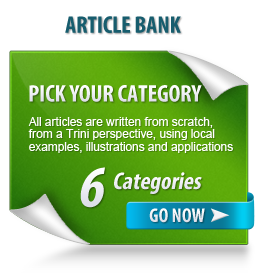 The idea now is to do something similar for the Caribbean region, using English as the main language and tailoring activities according to regional needs, and hence this upcoming launch at the Trinidad Hilton. I’ve been invited to participate in two sessions, one as speaker for the session titled What makes a good website?, and the second as a moderator for a panel session titled Website builders. Full details about VDECC and the event is available on the official website, see the links below. 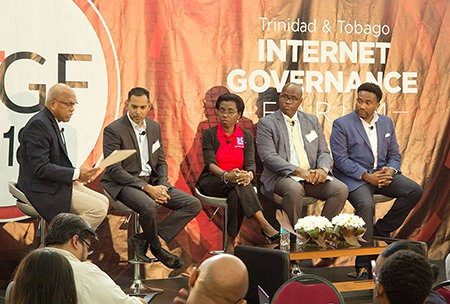 I was invited to be a panelist on the second annual Trinidad and Tobago Internet Governance Forum, TTIGF 2018, which was held on Friday 26th January, 2018 at the Trinidad and Tobago Chamber of Industry and Commerce. I shared my insights and experience in the panel session discussing Digital Financial Services. Coincidentally, but not surprisingly, one of my co-panelists is the co-Founder of Wipay, Aldwyn Wayne (far right). See me in action in the video below and highlights via blog and newspaper articles. There were two articles in Newsday’s Business Day section and I’m sure the event was covered by the other newspapers but I didn’t get my hands on those. And there you have it. 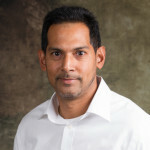 I do appreciate being recognized for my expertise gained on the ground and in the trenches starting ‘way back’ in 2011. It’s also good exposure for me and Forward Multimedia, and those who follow me know that I work very hard and share my knowledge freely and will continue to do so via my site and these new platforms once given the opportunity.